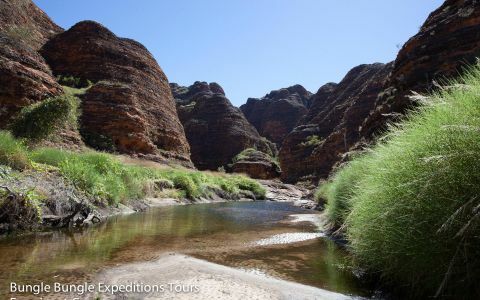 One of only 12 UNESCO Natural World Heritage sites in Australia, Purnululu National Park covers almost 240,000 hectares of remote wilderness and includes the Bungle Bungle Range, a spectacular landscape of sculptured rocks and sandstone towers. 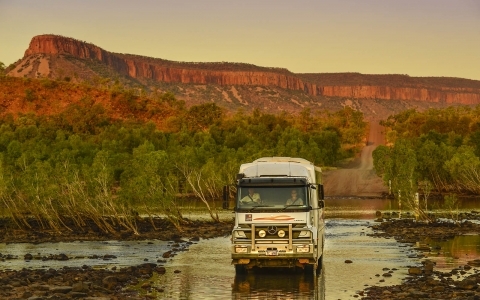 Your guide will take you back to a time when the Aboriginal people lived here for some 40,000 years. 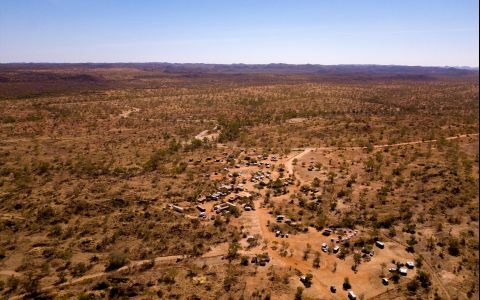 Learn about bush-tucker, Aboriginal customs and the many reasons why Purnululu is World Heritage listed. Immerse yourself in the spirit of this ancient place. Our tour guide was excellent and we felt we gained a great feeling for the area after our trip with her, I am sure there are many people like us who would love the tour. 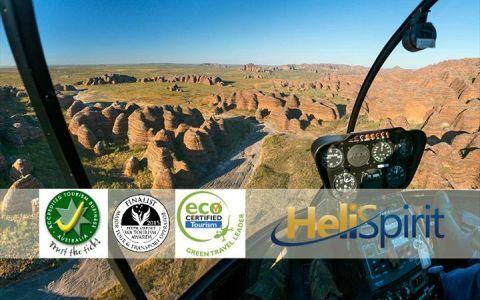 We were extremely pleased with the tour and have recommended it to people we have met since. 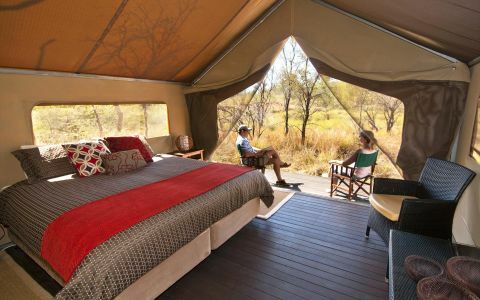 Spend one night at the savanah lodge and made 3 guided walks with Mick and Tyson. It was just fantastic. The guides were really knowledgable and I learned a lot. All the time the ask us if we feel alright and always they remember us to drink a lot of water, because it was pretty hot out in the Bungles. I really enjoyed this two days. Great tour, wonderful staff from the pilot to the walking tour guides to the ground staff, picked up at our accommodation and looked after all day. Excellent and worth every $. Amazing place to experience seeing the bungles from the air and on the ground. Thanks guys we had a great day.